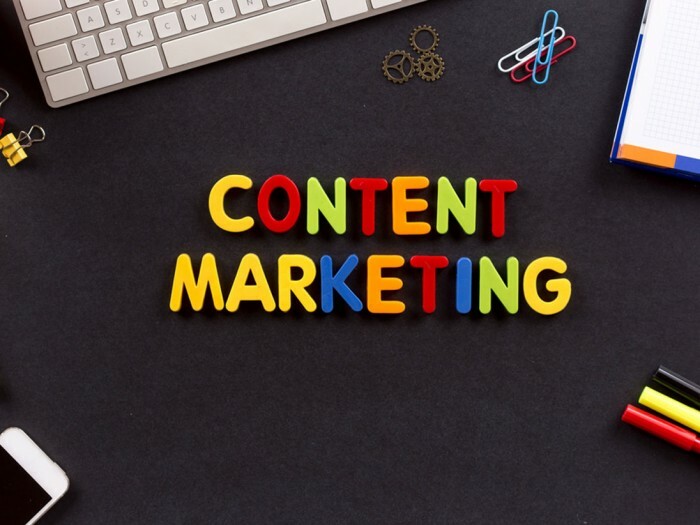 The importance of content marketing is on the rise as technological advances have empowered customers to filter intrusive advertisements and opt out of advertisements. On the other hand, more and more customers are relying on Internet searches to search for businesses that address their problem. Social networks have significantly increased the power of word of mouth recommendations. Small and medium scale businesses have to develop an effective content marketing strategy to get the attention of their prospective customers. Hence, content has become an indispensable marketing tool and an important strategic asset for SMBs. Quality content could help SMBs differentiate themselves from competition. Here is a step-by-step plan to create a content marketing strategy for Small and Medium scale businesses. This is the most important question in the formulation of content marketing strategy. SMBs must invest sufficient time in answering this question. This will ensure that their content strategy is highly relevant to their customers. SMBs can invest resources to build buyer personas based on their existing customers and social media followers. This would also assist SMBs in determining which platforms are best suited for their content distribution and which forms (blogs, eBooks, whitepapers, video, podcasts, info graphics) of content are well received by their customers. How does my customer move along the sales cycle? While studying the customers, SMBs should also try to understand how their customers move along the sales cycle. Content marketing strategy should be aligned with customer’s journey. Content created for awareness will be very different from that created for post-sale support. Content marketers could work with their existing customers to understand customer journey. What are my customers’ problems/pain points? SMBs have to understand their customers’ problems and pain points in order to curate content that would address those concerns. One of the best places to understand your customer’s pain points is to look at the queries received by customer support/customer service department. SMBs can also use social media listening/social media monitoring tools to understand their customer’s pain points. Are customers finding it difficult to find your product/service? – Content marketing Strategy should focus on creating awareness. Where do your prospective customers’ assemble in the online/offline world, which online forums, websites do they use? Are customers facing problems in using the product features? Content marketing strategy should focus on explaining how to use the product features. How does my product or service solve those problems/pain points? “People don’t want to buy a quarter-inch drill. They want a quarter-inch hole” said Management Guru and Harvard Professor Theodore Levitt. Prospective customers are searching for a solution that addresses their problem. Content marketers should understand how their product or service solves their customer’s problems. Content marketers should focus on creating content that positions their product or service as a solution to the prospective customers. They could show how they address and solve the problem better than their competitors. The success of Blendtec is a case in point. Blendtec is known for its viral “Will it blend?” campaign. The campaign shows the power of blendtec’s powerful blenders. Any customer looking for a blender will go with blendtec after witnessing it’s blending power. To summarize, content marketing strategy starts from a clear understanding of customers. Content marketing strategy should be aligned to the customer’s journey. Content produced should address the problems/pain points so as to shorten the sales cycle and build trust. Content marketers should also focus on how effectively their product or service addresses customer’s problems. Vinoth Devakumar is an aspiring digital marketing professional and a management graduate from Great Lakes Institute of Management channel.